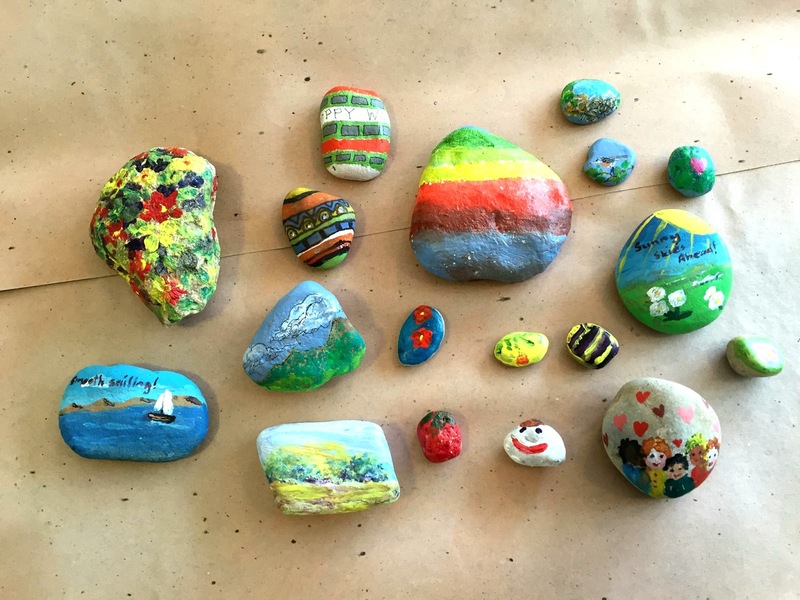 We painted rocks this month (and last month) to place around town with the hope that they will lift the spirits of those that find them, bring a smile, perhaps inspire someone to create. We enjoyed learning about this project from Ron. There are many subjects on the rocks - small scenes, flowers, stripes, children, etc. Here are a few of them! Several have already migrated to town or there-abouts. The original project started in Cleveland to commemorate a beloved child with joy instead of sorrow. Friends who are artists here in YS are making them as a response to surviving cancer....people create for many reasons. I hope you'll make one and spread the smiles! Come some first monday and join the fun/bring your creative spirit and supplies to First Presbyterian from 9:30 til about noon. Thanks for your comment...Libby will post it soon!